Our friends at Arturia are very pleased to announce the launch of two exciting new ranges of plug-ins that they claim, we will actually use. The 1973-Pre is a modern take on Rupert Neve’s classic solid-state preamp. It comes complete with switchable boutique transformers and all the tone and control that you would expect from a stunning British class-A design. The TridA-Pre is a recreation of the famous A-Range consoles preamp and EQ designed and built for Trident Studios. This updated preamp model accurately adds that gold-dust tone to your DAW. So if you are a fan of bands like Queen, The Beatles, and artists like David Bowie and you want that character on your tracks, give this a go. The V76-Pre does a fantastic job of modeling the classic Telefunken tube tone at the heart of one of the most iconic albums of all time. That being The Beatles “White Album”. 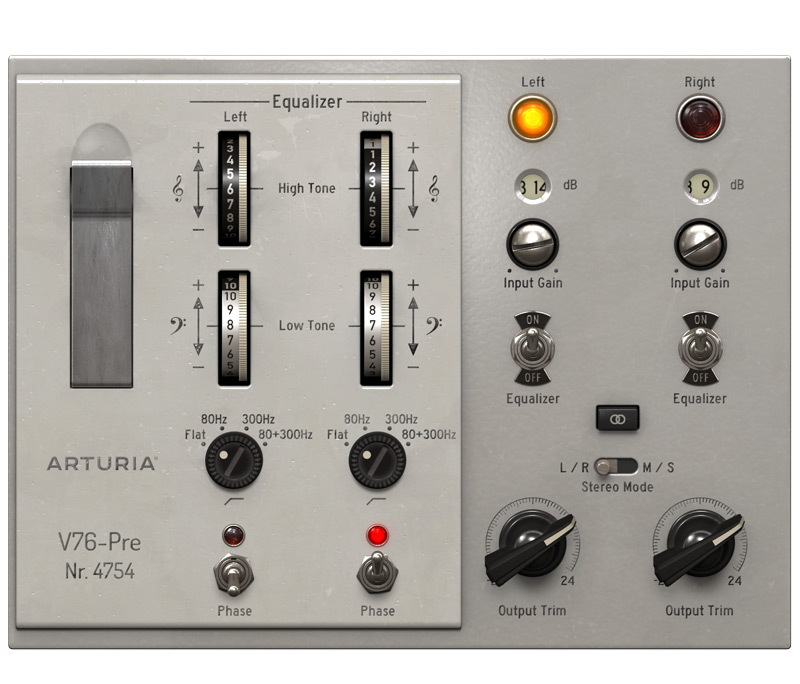 Arturia have taken the sound of this valve legend and integrated a rare shelf EQ for extra control. You can see and hear the 3 Preamp in action in this video. The SEM-Filter was perfectly recreated from one of the earliest self-contained analog synths. The development team at Arturia updated this classic state-variable filter with a simple but effective sequencer. Filter madness has never been easier or my fun. With the Mini-Filter Arturia cracked the code of Dr Bob Moog’s renowned ladder filter. You are them let loose to control it with a whole new generation of tools. The M12-Filter is modelled on Tom Oberheim’s formidable multi-mode filter found on the Matrix-12. Like the hardware, this plug-in also features twin filters, mod osc and random generators, its hugely customizable modulation matrix and programmable envelopes. Watch, listen and enjoy the showreel below. These 6 new plug-ins not only bring DAW users the inimitable sound of some of history’s finest yet unobtainable audio equipment, but we now get the benefits of exciting new creative features which were impossible or impractical using the original hardware. Bringing this classic gear back to life software has allowed Arturia’s engineers to update their functionality, bringing them in-line with the expectations and demands of modern producers and musicians. Features like mid/side processing, linked-stereo modes, customised EQs, sequencers, and envelope modulation give users access to huge creative possibilities, all while retaining the signature sound of the classic hardware. 3 Preamps You’ll Actually Use will be available for $199, and $299 after April 5th, 2018.